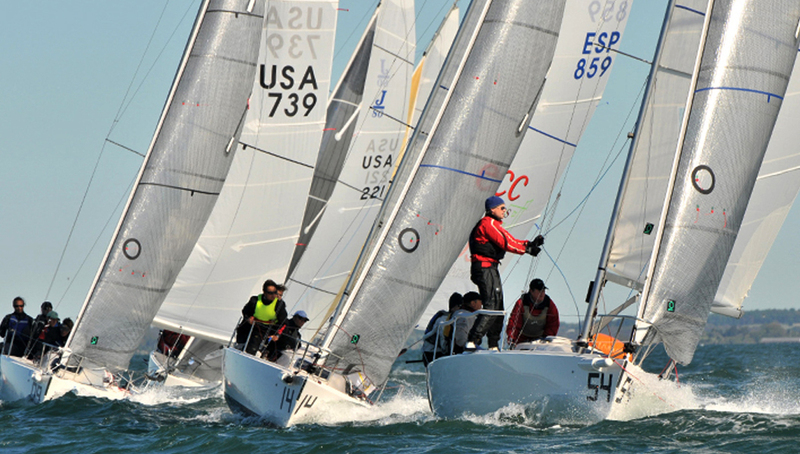 Quantum has been involved with the J/80 class since day one. 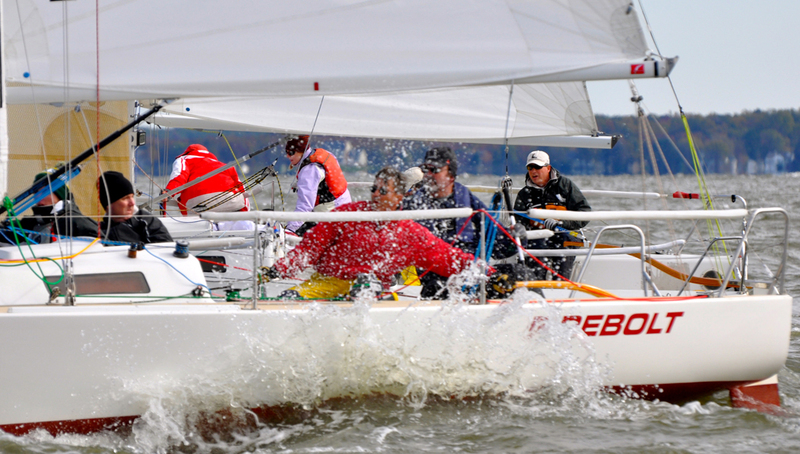 We’ve put endless hours of testing and refining into our sails and rig tune to help you get the most out of your J/80. Our J-Boat division of designers and sailors continually works on all aspects of our program injecting new ideas so the progress never ends. 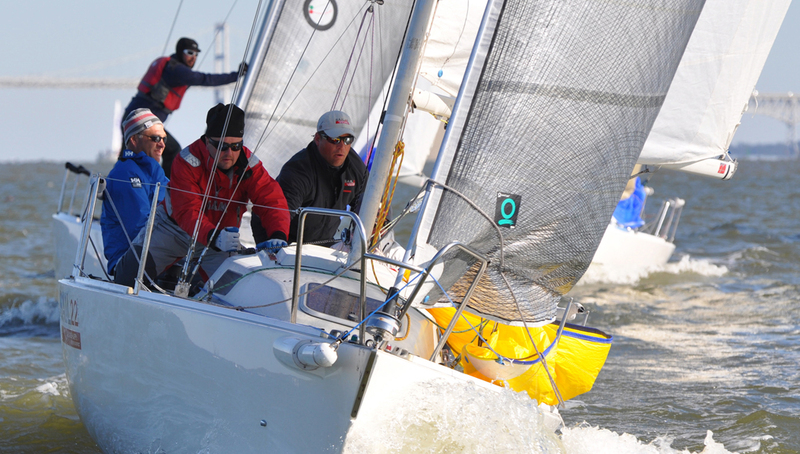 Quantum’s top J/80 race results include multiple world, North American, European and midwinter championships. Our latest Fusion M® aramid class jib and Dacron class main are fast, and our comprehensive tuning guide makes it easy to set up and tune for different conditions. One of the key components of our upwind sails is how well they work together. 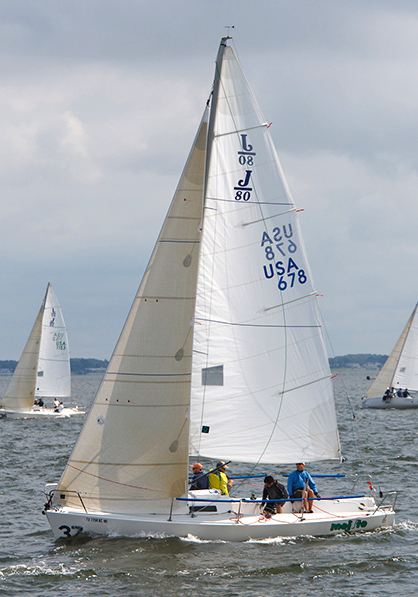 The main and jibs are well-matched and easy to tune to different wind conditions. The Quantum class asymmetrical’s forgiving and fast shape allows the boat to sail deep angles while maintaining speed. 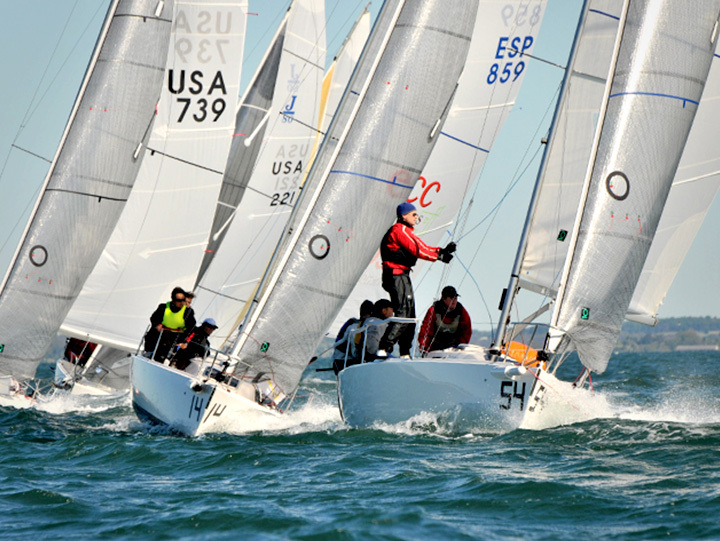 Give your Quantum J/80 class contact a call to get more information on our fast and updated designs, and find out how we can help get your program on the podium. Quantum's mainsail has evolved over the years to be the most user-friendly mainsail in the class. The use of durable, yarn-tempered Dacron makes it easier to adjust the sail shape with backstay and sheet tension. ​Mainsails include rope luff, spreader windows, sail numbers, RBS tapered battens, draft stripes, loosefoot, roll bag and ISAF measurement sticker. Made with our Fusion M® lamination process, the post-cured shaping ensures exact shape duplication, a must for one design sails. Our leech profile takes advantage of the class rules and has more area at the top batten. 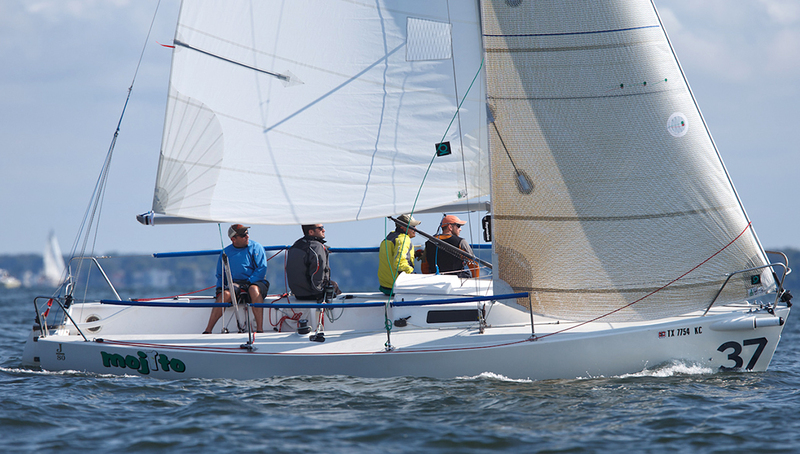 The new matte finish film offers greater UV resistance for longer sail life, less shrinkage during lamination, reduced glare for less eyestrain and better visibility, and less visible micro-marring, which keeps your sails looking newer longer. We have also added a light Dacron taffeta to one side of the foot. This helps keep the foot area from breaking down and helps with any skirting mishaps that may happen from time to time. Includes tube bag and ISAF measurement sticker. 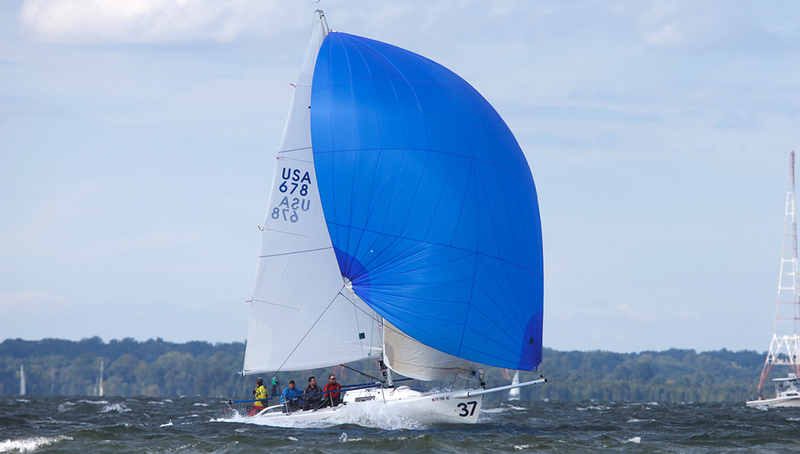 The Quantum J/80 Spinnaker is the largest spinnaker on the market today. Designed using Quantum Sail Design Group's proprietary software, it’s made for the windward/leeward courses, rotating to windward quickly allowing you to sail deeper in lighter wind. This spinnaker includes spectra luff line, leech and foot line, a bag and ISAF measurement sticker. For customized layout or graphics, please contact class expert or your local loft. 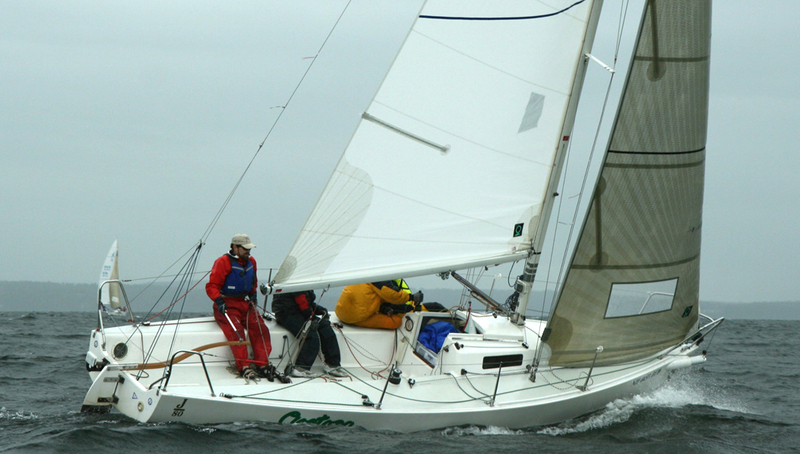 The Quantum J/80 Spinnaker is the largest spinnaker on the market today. Designed using Quantum Sail's proprietary software, it’s made for the windward/leeward courses, rotating to windward quickly allowing you to sail deeper in lighter wind. This spinnaker includes spectra luff line, leech and foot line, a bag and ISAF measurement sticker.